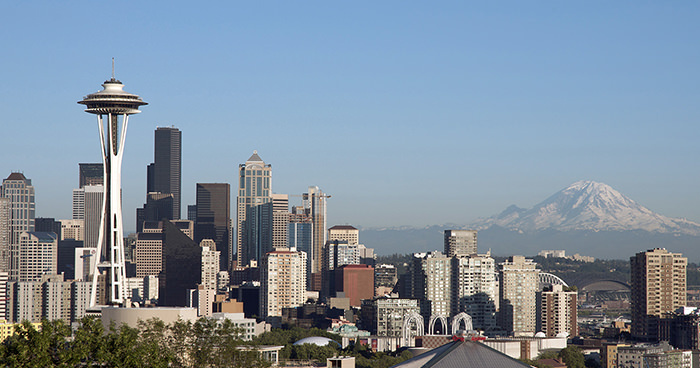 Join a top rated Seattle City Driving Tour company based on traveler reviews. With two tours in one, you'll visit beautiful Snoqualmie Falls and then experience the city of Seattle. Our tours are more than a simple tour pointing out locations through the windows with one or two quick stops. With Shutter Tours, we offer you a richer tour experience and take the time to stop and explore must see locations. 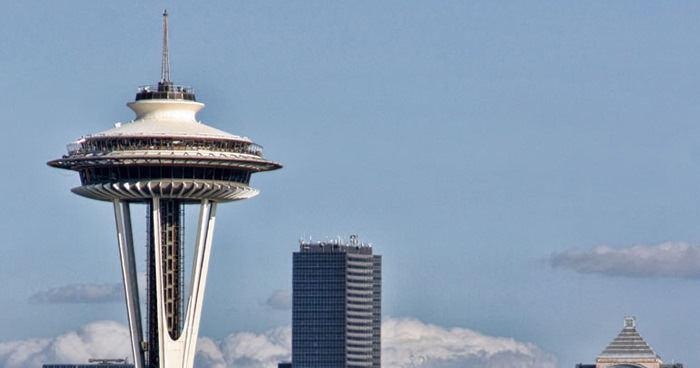 As an added bonus we also help you with simple photos tips to make the most of your vacation in Seattle. Centrally located meeting point at the Pike Place Market Information Booth at the corner of 1st and Pike Street. Four hour tour begins at 10 AM until 2 PM daily. Our four hour tour begins at the Pike Place Market at 10 AM. As we make our way through the city you'll learn the history of the city, how the Great Seattle Fire of 1889 became an important event to turn Seattle into a major city and explain the "Underground" of Seattle. Your guide will share more Seattle history as you travel through Pioneer Square, where the early settlers decided to build the city. This rich historic area is also known for its Renaissance Revival architecture, galleries and the heart of the Klondike Gold Rush activity in the late 1800's. Throughout the tour that is jammed packed with stories about Seattle history, your guide will share some fun facts and history from the Klondike Gold Rush to how Seattle got its name to what the real story is about how much it rains. You'll also learn how Starbucks became the company it is today, who the "People of the Moon" were and many other fun and engaging stories. Your first experience in the Cascade foothills will be a drive through the town of Snoqualmie, the real "Twin Peaks" of the Pacific Northwest. 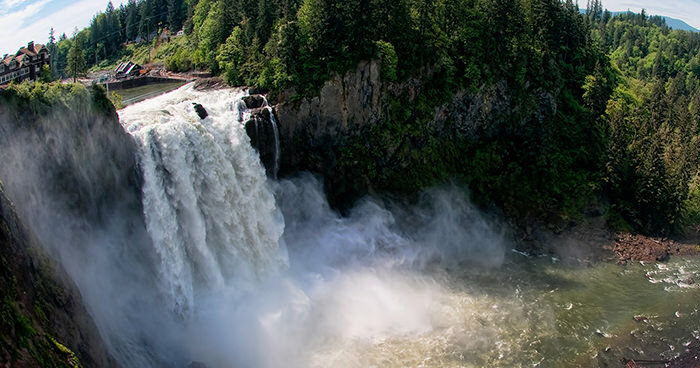 Then you'll enjoy the majesty of Snoqualmie Falls, which is sure to be a favorite memory on your tour with us. Time spent at falls is approximately one half hour. 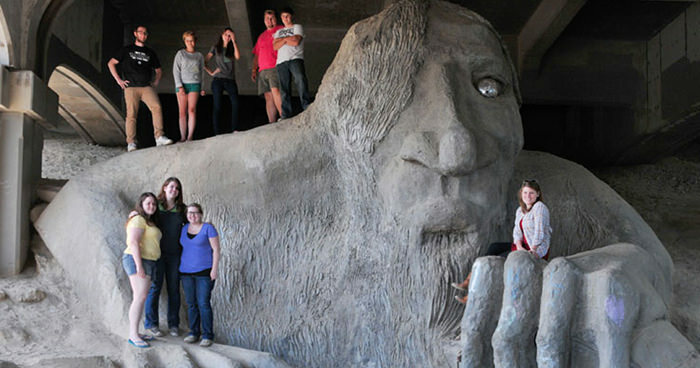 Next stopping point is the Fremont Troll where you can take some time to get some photos of this one of a kind piece of public art. As we drive through Fremont you'll see a 16' tall statue of Bolshevik Russian Communist revolutionary Vladimir Lenin. Your guide will share with you how this statue arrived in Seattle and the story behind its history. We then stop at the Ballard Locks also driving through Fisherman' Terminal where you'll see the Pacific Fishing fleet. 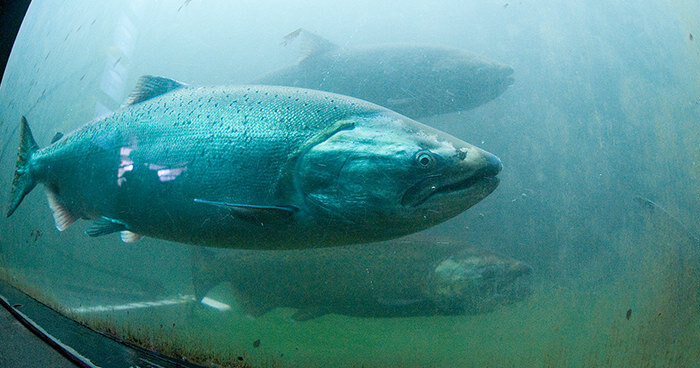 At the Ballard Locks, you may see migrating salmon going through the locks system during the summer months, Sea Lions, Eagles and maritime traffic as they navigate this engineering marvel. Approximate time at the locks is a half hour, giving you time to explore the locks and fish ladder. Next we take in the #1 rated location in Seattle for taking a photo of the skyline, the picturesque viewpoint at Kerry Park. Arrival back at Pike Place Market for you to continue your sightseeing of the city with a newfound love of Seattle. As a thank you for booking our tour on our website, you will also receive a link where you can download our free 30-page e-Book "Self-Guided Walking Tour". 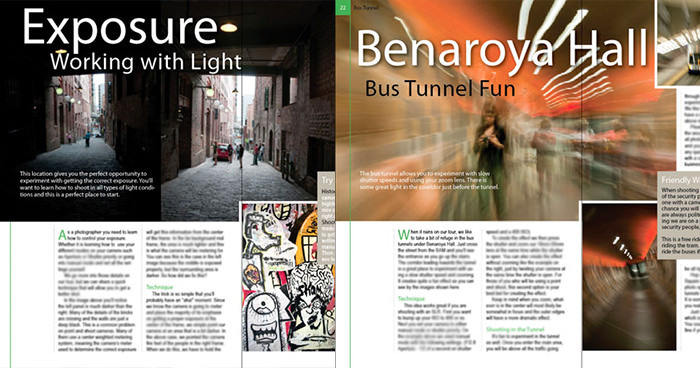 This guide was created by the professional staff at Shutter Tours and will take you around the Pike Place Market and give you photography hints and composition ideas and much more. Only available when booking on our website. (Link will be in your tour confirmation email). We run our Snoqualmie Falls/City tours daily, except for April when we run our Tulip Festival tours. The cost is $74.00 per person with discounts for seniors and children. Do you offer hotel pickups? Due to construction and unpredicitability of Seattle traffic, we are unable to offer hotel pickups at this time. Multiple requests for hotel pickups per day have caused late starts to tours. Our pickup point is within 10 minutes via Uber and Cab of over 80 downtown hotels. Do you offer pre and post cruise pickups and drop-offs? Due to changes at the Port of Seattle facility at pier 91 we will no longer be booking Cruise Terminal pickups and drop-offs except for private tours and our partner companies. Will children enjoy this tour? Children are of course welcome on tour but, the amount of driving is often difficult for those under 5. We are unable to accommodate car seats on our bus for infants, and they are not able to sit in a seat alone or on a parents lap. Please call us if you have questions in this regard. Yes, you can get a full refund up to 72 hours before your tour date. (Tickets booked through ticket resellers such as Viator and Expedia to be refunded with the ticket reseller directly and not through Shutter Tours). Do you offer any group discounts on this tour? Please contact Terry at 425-516-8838 for group discount information. Lunch is not provided, and we suggest you bring along a snack or eat a late breakfast. Coffee and snacks are available to purchase at Snoqualmie Falls gift shop which is our first stop. We also offer Granola Bars and fruit snacks as a courtesy during the tour. 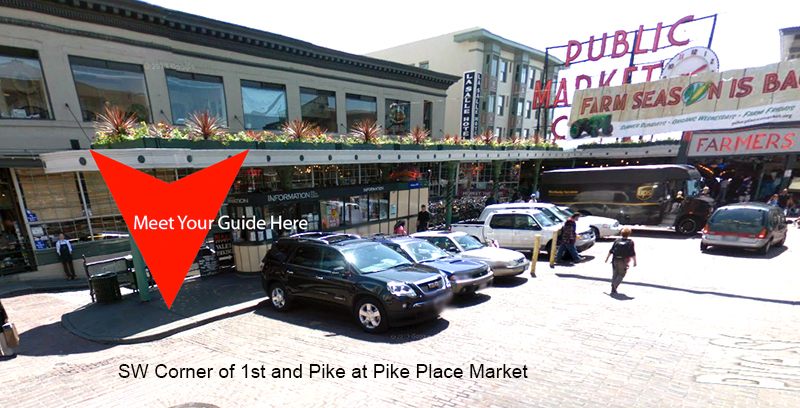 Meet your tour guide at the Pike Place Market Information booth no later than 10 AM located on 1st and Pike Street. This is close to the sign that says "Public Market Center" with the large clock. You will see a large brass pig (Rachel) beneath this location. Follow the brass hoof prints to the information booth towards 1st Avenue. We pickup at the Pike Place Market at 9:45 AM and drop off between 2:00-2:15 PM. What about wheelchairs and walkers? We can accommodate foldable wheelchairs and walkers for those that are ambulatory and can board the bus with minimal assistance. We are unable to accommodate motorized wheelchairs as the bus is not equipped with a ramp. Please call 425-516-8838 if you need clarification. Refundable up to 72 hours before tour starting time. We understand how difficult it is to make travel arrangements. Many tour companies will contact you the day of the tour and cancel because they have not sold enough tickets. 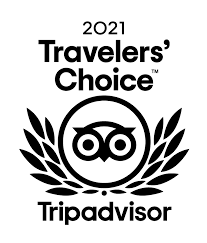 Our policy is once a tour is booked we will fulfill our obligation to you so that you may enjoy the tour you have paid for despite the number of tickets sold. In the event of small groups being on tour we reserve the right to use a more fuel efficient form of transportation such as our SUV instead of our bus, for environmental impact reasons. Ready to Board the Bus? Our itinerary ensures adequate time spent at each location allowing individual feedback and suggestions from our guides. We've done all the work and planning, so you can spend your time having a positive experience. Please contact us at 425-516-8838 if a day/time you want to book the tour is unavailable.